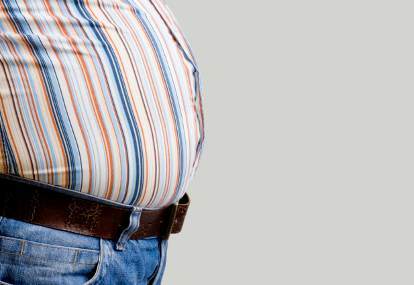 Obesity is a condition which predisposes the development of various diseases. The World Health Organization estimates that about three million people die annually as a result of overweight and obesity. Because of its epidemic growth in recent years and its harmful effects on the body (such as decreased quality and lifetime shortening) much has been studied about the possible causes of obesity. Sedentary lifestyle and poor eating habits associated with urbanization are the main. However, many others may have an important contribution. There are few studies on the effects on the body of one of the main consequences of urbanization - increasing the transport sector and its noise. Some research shows that traffic noise is an important risk factor for cardiovascular diseases such as myocardial infarction, hypertension and cerebral vascular accident (CVA or stroke). However, little is known about its effect on metabolism. Filling this gap, we were recently published two scientific papers that aimed to study a possible association between intensity of traffic noise and obesity markers. One study was conducted in Norway, which were followed over eight thousand participants for a period of 10 years. The other study was in Sweden, where more than five thousand participants were followed for a period of 8 to 10 years. The evaluated obesity markers were body mass index, waist circumference and the relationship between waist and hip. Exposure to traffic noise was measured according to European Directive Environmental Noise and three main types of noise have been identified: those caused by traffic vehicles, aircraft and trains. Research results revealed that there is a proportionate and positive association between noise intensity to which the individual is exposed and your waist circumference. The more noise the larger the circle. Furthermore, the risk for an increase waist grows with the combination of noise from different sources. Thus, those that are exposed to only one source of noise (car traffic, for example) have a 25% higher chance of having increased abdominal those that are not exposed. This risk doubles for those exposed to the noise of three sources (plane, car and train). And this increase is proportional to the noise intensity. The explanations for these findings are linked to indirect factors triggered by noise. Would they be chronic stress (producing increased cortisol hormone) and changes of sleep. These same factors that are responsible for cardiovascular diseases were the genesis of the development of abdominal obesity. In addition to its curious tone, these results may provide important benefits to the multifactorial approach to prevention and treatment of obesity.